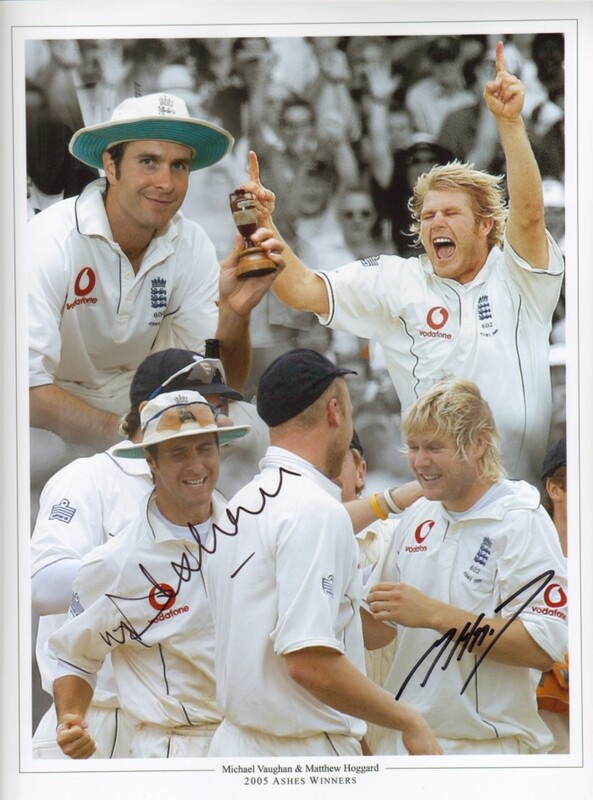 Fantastic 2005 Ashes series montage signed by England Cricket heroes Michael Vaughan & Matthew Hoggard. 16″x12″ in size, ideal for framing. This item will come with our company COA.